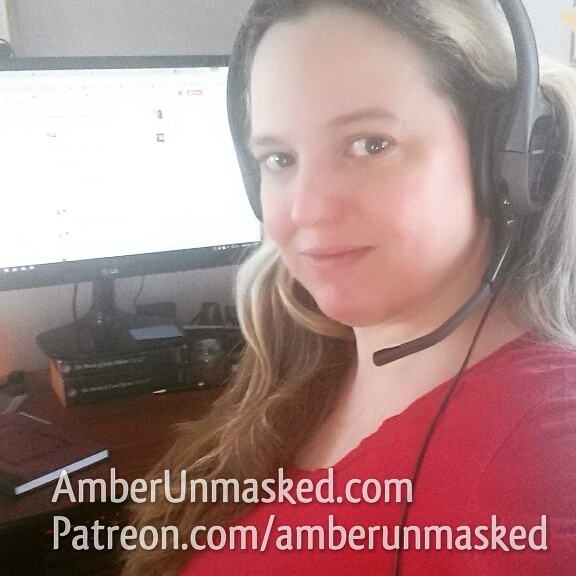 AMBER LOVE 14-AUG-2013 Joining the Vodka O’Clock Podcast this week is Zack Kruse who is the organizer of the Appleseed Comics and Art Convention in Fort Wayne, Indiana. In order to make the 2014 show bigger and better, Zack is running a Kickstarter campaign looking for $8,000. At 18 days to go, it was 81% funded. 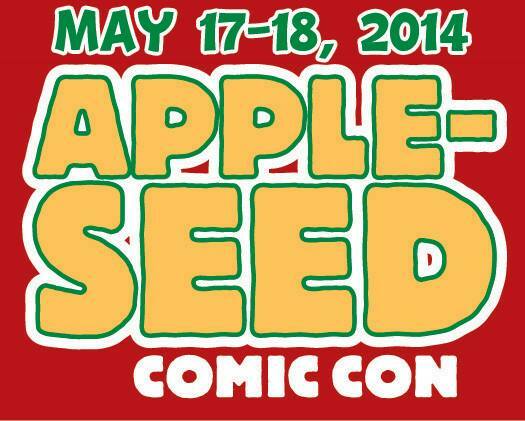 The Appleseed Con is a small show that is entirely about comic books and is attended by a couple thousand patrons. This includes 100-145 creator tables, some retailers, cosplay, and discussion panels. For the new launch, Zack is looking to also bring more into the Fort Wayne community through Drink & Draw meetups, film festivals and education. One other way that Appleseed is different is that they don’t charge for Artists’ Alley table. 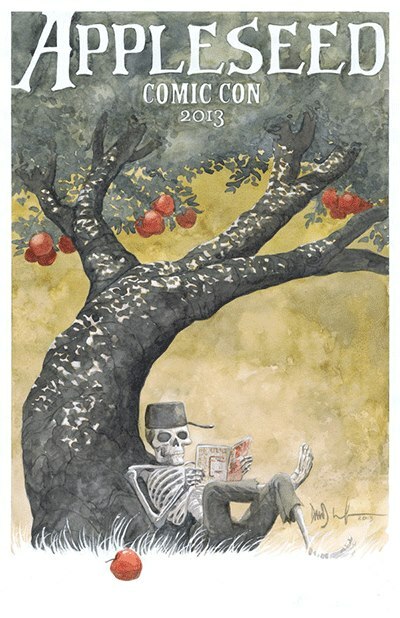 Instead there is a juried system and a waiting list for overflow prospects. Among the Kickstarter rewards there are also some grand VIP packages including covering someone’s travel. Zack is particularly great at removing the barrier for potential fans to get interested in comics. He has a path of kindness to stop the exclusionary gatekeeping and the limited superhero genre that the mainstream chooses to address. The discussion panels are more involved than 45-50 minutes of “what’s next” like a way-too-long infomercial. The panels are evocative and designed to get to know the motivations of the creators. There’s always a kids’ costume contest. Zack is hoping that this 2014 show will have enough cosplayers to have an adult contest as well. Zack is also the creator of the MYSTERY SOLVED! comic. It’s the perfect comic strip for people who love skepticism and adventure. It’s about the Colonel and his investigations debunking or confirming urban legends and other fun mysteries. It also runs every two months in Skeptical Inquirer the journal of the skeptical community founded by Carl Sagan. We took just a couple minutes to gab about TEENAGE MUTANT NINJA TURTLES since Zack is a huge fan. This leads into the Hollywood changes that happen to characters and franchises like TMNT, CATWOMAN, etc.